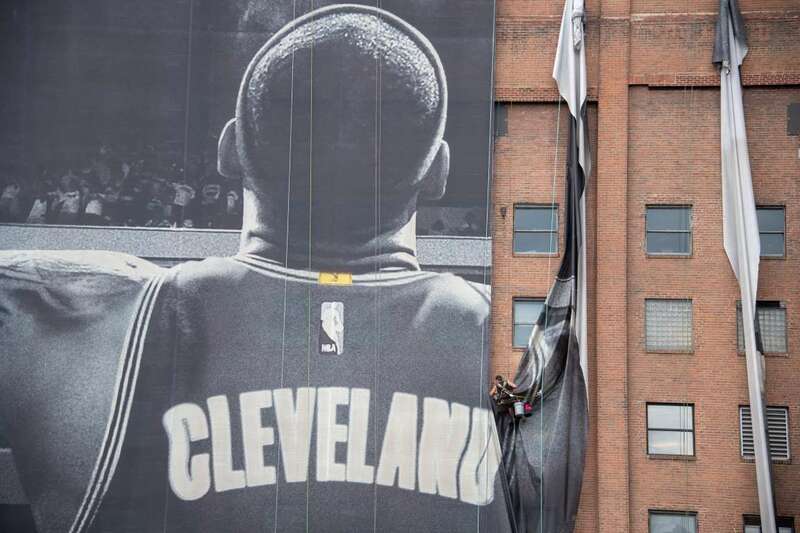 Workers remove the Nike LeBron James banner from the Sherwin-Williams building near Quicken Loans Arena on Tuesday in Cleveland, Ohio. 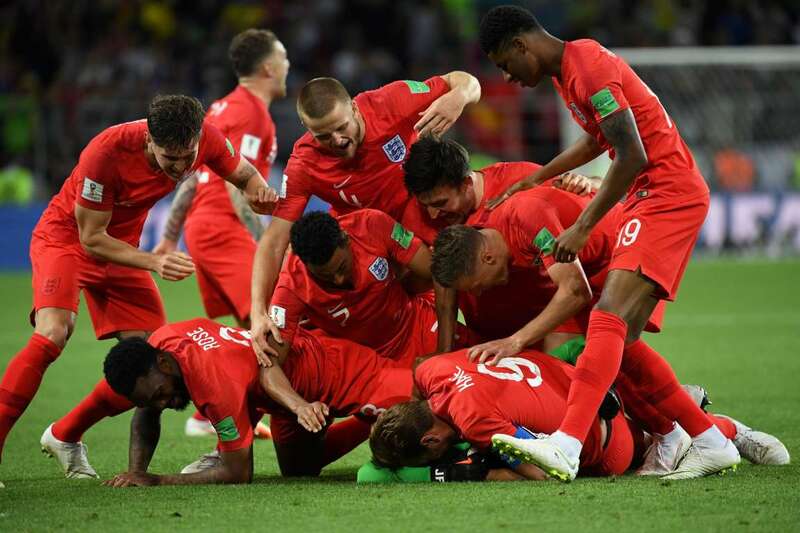 England's team celebrates after winning the penalty shootout at the World Cup round of 16 match against Colombia, on Tuesday in Moscow. England won through penalties 4-3. 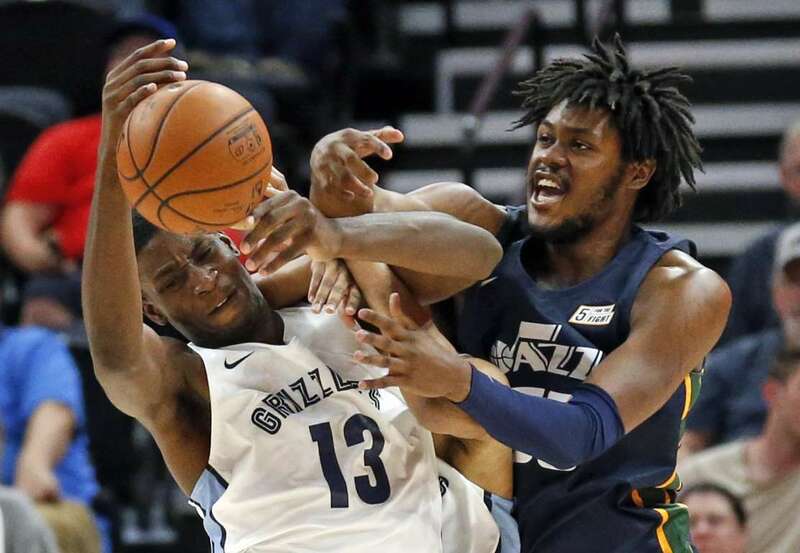 The Grizzlies’ Jaren Jackson Jr. and the Jazz’ Diamond Stone battle for a loose ball during a summer league game, on Tuesday in Salt Lake City. 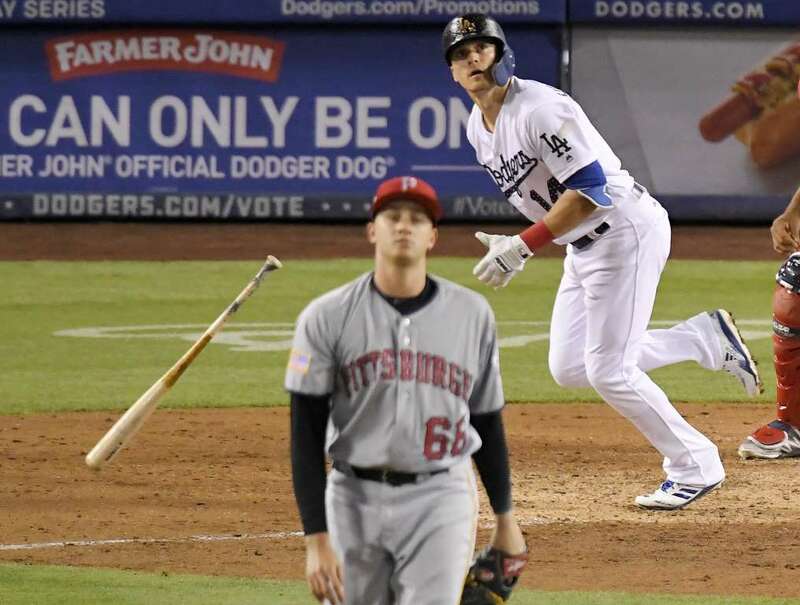 The Dodgers' Enrique Hernandez heads to first on a two-run homer off the Pirates’ Dovydas Neverauskas, front, during a game on Tuesday in Los Angeles. The Dodgers won 8-3. 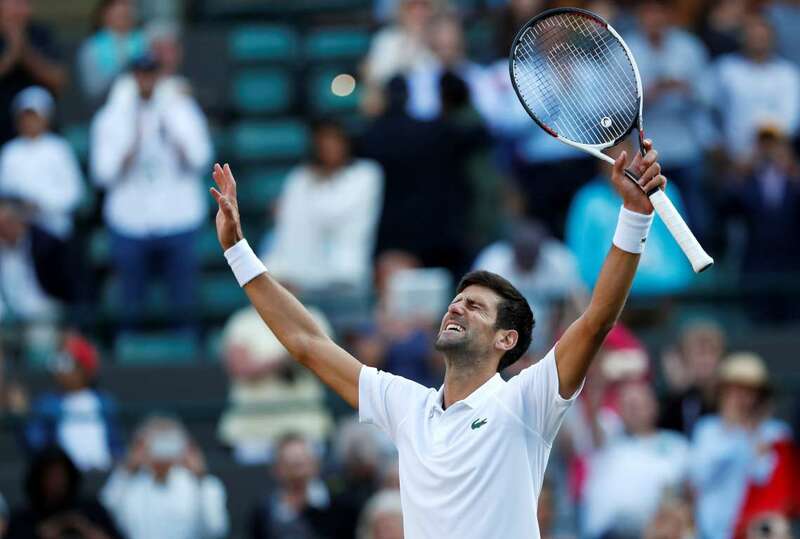 Serbia's Novak Djokovic celebrates winning his 1st ruond Wimbledon Championship match against Tennys Sandgren of the US on Tuesday in London. Djokovic won 6-3, 6-1, 6-2. 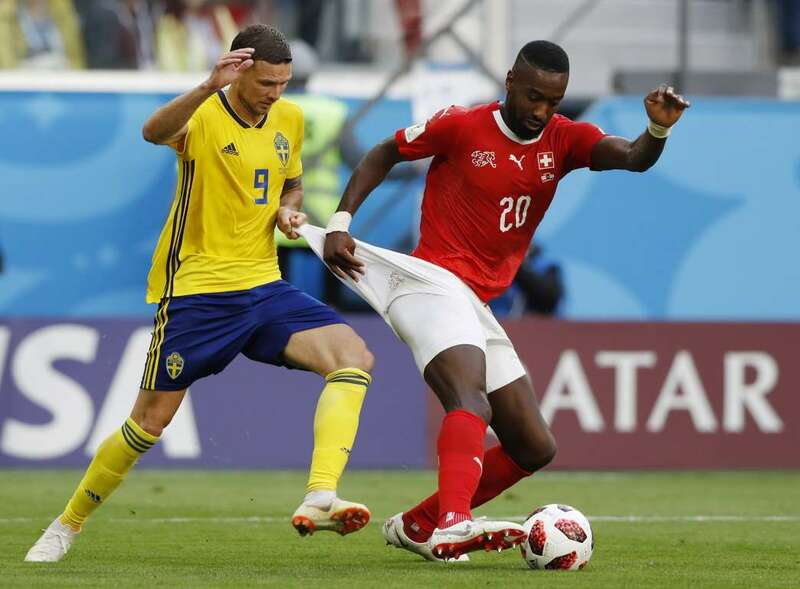 Sweden's Marcus Berg, left, battles for the ball with Switzerland's Johan Djourou during the round of 16 match of the World Cup, on Tuesday in St. Petersburg. Sweden won 1-0. Japan's Kurumi Nara loses control of her racket after returning the ball to Romania's Simona Halep during their singles match of the Wimbledon Championships, on Tuesday in London. The Rays’ Carlos Gomez is unable to catch a ball hit by the Marlins' Miguel Rojas during a game on Tuesday in Miami. The Rays won 9-6. 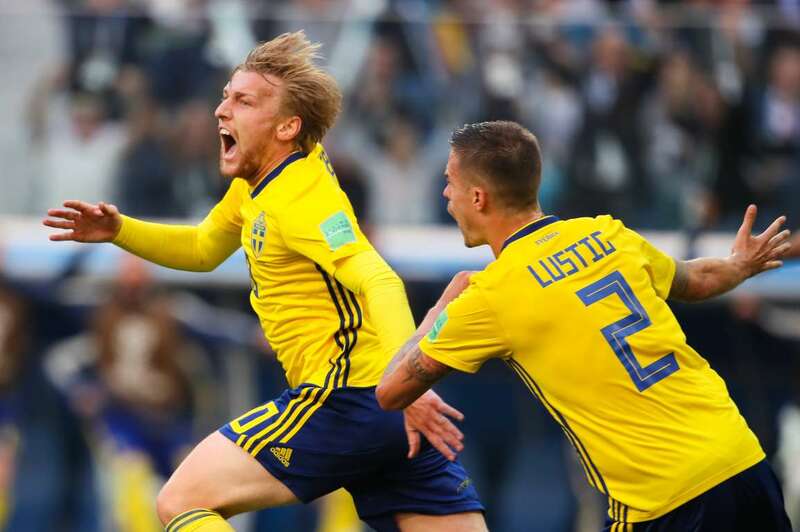 Emil Forsberg of Sweden celebrates after scoring the winning goal against Switzerland during the 2018 World Cup round of 16 match on Tuesday in Saint Petersburg, Russia. Sweden won 1-0. Russia's Maria Sharapova reacts during the first round match of Wimbledon Championship against compatriot Vitalia Diatchenko on Tuesday in London. Sharapova lost 7(7)-6(3), 6(3)-7(7), 4-6. 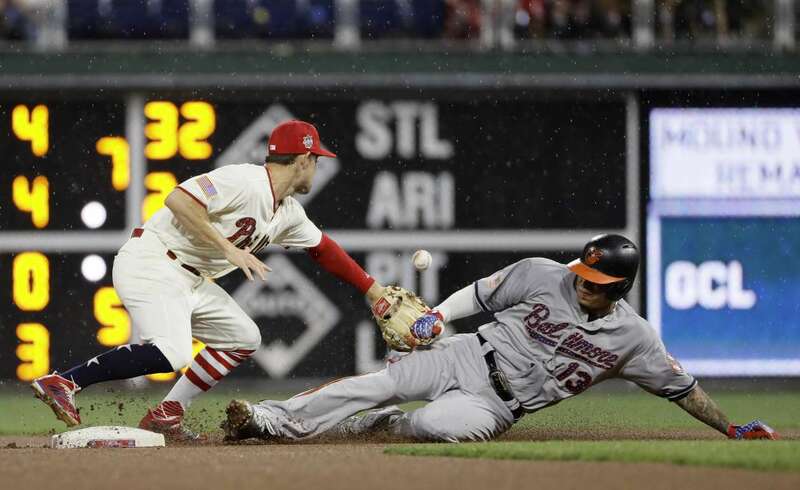 The Orioles' Manny Machado, right, slides into second base past the Phillies’ Scott Kingery after the former hit a double during a game, on Tuesday in Philadelphia. The Phillies won 3-2. 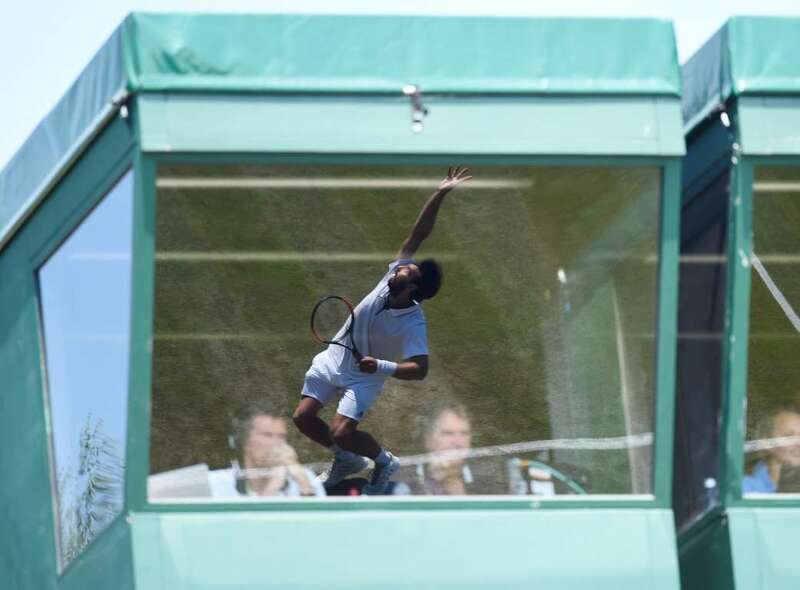 Latvia's Ernests Gulbis reflected in the window of a tv commentary position during the first round match of the Wimbledon Championship against England's Jay Clarke on Tuesday in London. Gulbis won 4-6, 6-3, 7(7)-6(3), 3-6, 6-4. 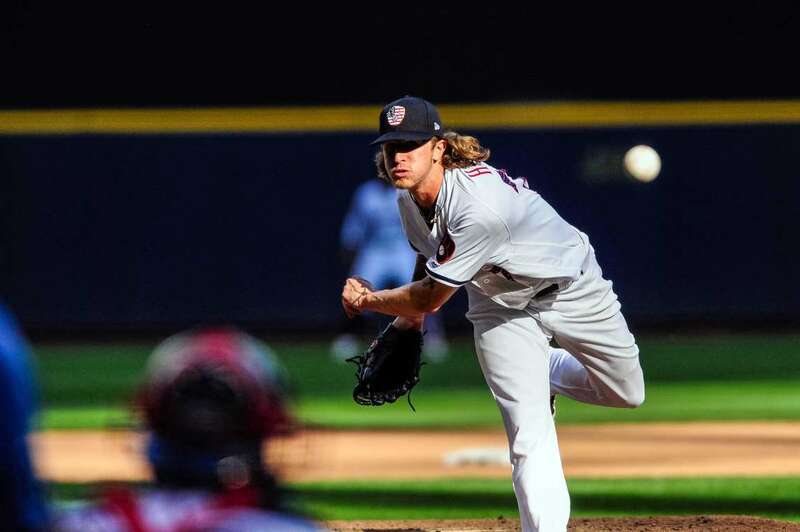 The Brewers’ Josh Hader throws a pitch during a game against the Twins on Tuesday in Milwaukee, Wisconsin. The Brewers won 2-0. 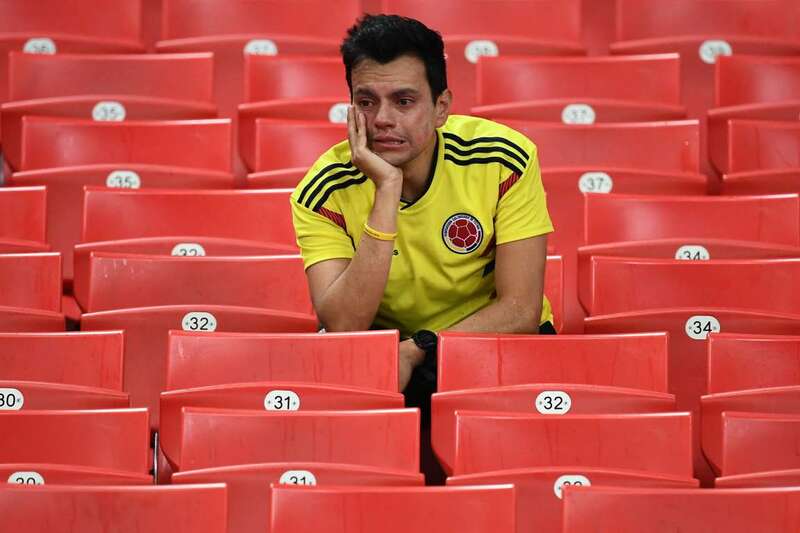 A Colombia's fan reacts at the end of the World Cup round of 16 football match between Colombia and England on Tuesday in Moscow, Russia.